Class of 1978 Reunion + SIM’s 50th Anniversary! Home » 50th Anniversary » Class of 1978 Reunion + SIM’s 50th Anniversary! 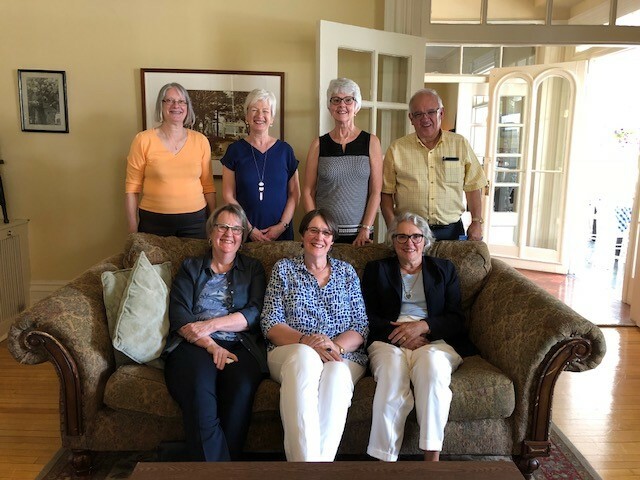 This lovely update was recently shared with us by MLIS alumna, Sharon Longard: The MLS graduating class of 1978 celebrated our 40th anniversary June 13th, 2018 with a luncheon at the Waegwoltic Club in Halifax. It is wonderful to see our alumni keeping in touch after so many years. We are excited about the possibility of more reunions, as we move into our 50th Anniversary celebrations in 2019! Planning is underway, and we want to hear from alumni of all programs (MLS, MLIS and MIM). We will be forming a committee over the summer, and we encourage you to get involved! We would love to have representation from all locations, sectors and years. Please contact us at sim@dal.ca if you are interested in helping out, or have any ideas. More details to come as plans are finalized. Keep an eye on our website, this blog (specifically the 50th Anniversary category), our Facebook and Twitter pages (hashtag #SIM50), and your email inbox. We look forward to reconnecting with you.